They Call Me Mr. V: A New Cover! 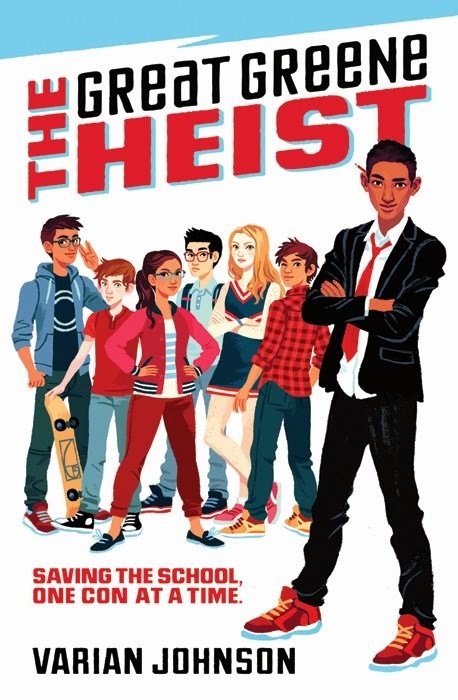 "A political heist page-turner set in middle school? Is that even possible? Varian Johnson shows us how it's done, expertly walking the tightrope between true-to-life school experiences and belly laughs." "Pay attention! This terrific story speeds ahead on every page, but the lively characters will make you care enough to keep up. Do yourself a favor and start reading immediately." "The Great Greene Heist is one crazy cool caper!" "A smart, charming, and hilarious novel featuring one of my favorite protagonists in years. I'd follow Jackson Greene anywhere, and The Great Greene Heist is a fantastic ride. And here's the revised cover! I really like the cover. The illustration style brings to mind comics and school adventures. Love the typography and the way the characters look ready for action. Thanks Ron! I love the cover,and I really lucked up on blurbs. I love all of these authors and was honored when they agreed to say such kind words about the book!